Hi All! Happy Friday. We survived another week, and dammit, this was a tough one. Things around the blog have been heavy this week as I've been taking on issues like irresponsible use of social media and the unnecessary hurtful comments about Rachel Jeantel. I did try to mix in some fun stuff, too. Thanks to my girl Kim for blogging about her sweet pooch Sweet Pea. My hubby also surprised me with the sweetest heartfelt post about what he's learning from marriage. I wish I could just post about happiness and flowers and rainbows, but I feel compelled to post about what's in my heart and on my mind, and it's not always happy. Given all of the important current events this week, my husband and I have been having some long, hard conversations about race, class, education, privilege, gay rights, beauty, sexism, and lots of other provocative and controversial issues. My husband, being the former history teacher that he is, surprised me again with another post! It's true that nothing is new under the sun, and here's his take on how history is repeating itself and how classism and racism sometimes cloud our judgement. A young Black boy visiting family went to a nearby store to get something to drink. While he was out, he was murdered for no apparent reason. Because the murder seemed justified to those in power, the police in the town tried to sweep it under the rug. The story barely made a blip on the national news scene. The murderers believed the law was on their side and felt they were in the right. In their minds, they were preserving justice, even it resulted in extreme measures to do it. Others speculated that another reason for the murder was to put that Black boy in his place - by any means necessary. The murder looked like it would fade away; however, some news outlets not associated with mainstream media picked up the story. National organizations previously not knowing about the incident began to investigate the murder. Black people who felt that this was another example of how little value is placed on the lives of their youth began to mobilize. The mother of the boy, with the help of these news outlets and organizations, begam the push to find justice for her murdered boy. 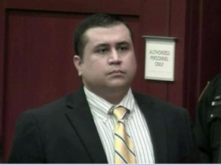 Eventually the murderers were brought to trial in what became national story centered on race. The trial surely spoke to the state of race relations in America…..
With what’s happening in the news, this sounds like a summary of the Trayvon Martin case, right? Sadly, the events above took place in 1955. The boy in question wasn’t Trayvon Martin. Emmit Till on the left. Trayvon Martin on the right. As a student of history, I am mad I didn’t make the connection earlier. It was all there. 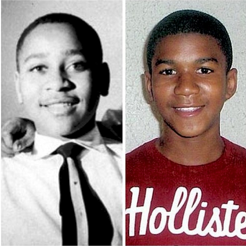 Both cases have mothers who sought/are seeking justice for their sons. What finally made me make the connection was how some on the the Internet lambasted Rachel Jeantel as "ugly", "ignorant", "hood", and "ghetto". Much of the ridicule stems from her testimony as the star witness in the Martin case. For many, she is being used as a symbol of all that is wrong with our youth our failed education system. What I don’t hear many people call her over the past couple of days is……a hero. Bridging this event to the past, I'd like to share a little about Mose Wright, Till’s Uncle who testified on behalf of the prosecution in the Emmit Till case. He was poor uneducated Mississippi sharecropper not used to being in such big spotlight. At a time when looking at a White woman was enough to a Black boy murdered, Mose bravely took the witness stand. In his broken English infused with a heavy southern dialect, Mose recounted the evening when Emmett was taken from his home. 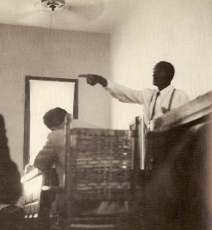 When asked who took Emmett from his home, he stood up pointed towards Roy Bryant and J.W. Milam, and said “Dar He.” In that moment, Mose Wright was a hero in every sense of the word. He put his life on the line but did so because, ultimately, he wanted to do the right thing. Rachel Jeantel took the witness stand on Wednesday to give her testimony in the Trayvon Martin case. She did not want to testify and was still dealing with the loss of her friend. Being the last person to talk to him before he was shot put her in a bad emotional space. During her time on the stand, she wasn’t necessarily poised, spoke in broken English, and didn’t appear to be intelligent to some pundits and some people on social media. Rachel didn’t present very well and, to many, she appeared to do more harm than good for the prosecutions case. Rachel's life probably isn’t in the same potential danger like Mose Wright. 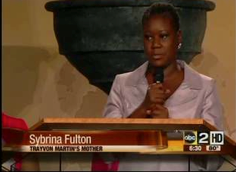 However, she testified in a case that will parallel modern cases around race like Rodney King or OJ Simpson. By testifying, their lives would/will never be the same. The difference between the two is one is being mocked (Jeantel) and the other is commended for his bravery (Wright). 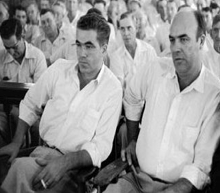 An all White male jury eventually found Emmett Till’s assailants not guilty. Only time will tell what the outcome will be for this trial and what it says for race relations in this country. One outcome that I hope occurs is Rachel being given some measure of respect because what she did during the Trayvon Martin case was an act of a hero. Wonderful post. But I have to admit: this is the FIRST TIME I've seen (I say "I've" seen ... doesn't mean it doesn't exist) one of the most profound ebonic statements in American history used as part of the title of anything that has been published. I've seen "Ain't I a Woman: blah blah blah," "Sick and Tired: blah blah blah," and a few other famous ones, but never "dar he." I don't ask that it reach saturation, but I truly hope I see that statement again. I'm a proponent of SAE as much a anyone, but from the first time I read "dar he" (sometime back at Hampton I suspect) until now, it's sent chills up and down my spine and makes me thoroughly admire the courage of Emmitt Till's old uncle. Thanks for reading. I'll admit that when Shawn sent me this post, it was my first time hearing about "Dar he." It gave me goosebumps. This is an awesome story of courage that more people need to know about. I'm going to share with all my friends. Keep up the greatness. Love this. This post reminds me of a conversation I had just the other day, about how the Trayvon Martin case shadows everything I recall learning about Emmitt Till's murder case. You stated exactly what we were speaking about. I definitely am constantly realizing various signs in modern day life of history repeating itself in various forms. Nevertheless, I enjoyed this piece and Rachel is a hero regardless of how she looks or sounds from the witness stand! Thank you so much for reading and commenting! I think Shawn did an amazing job with this one. Dar he...broken English but yet profound. I must admit that I didn't think of the similarities these two cases share prior to reading this. Excellent read! So profound, right? I'm so grateful to Shawn for putting together such an insightful piece. You hit the nail on the head. All of the mistreatment is based in fear. We have to stand for our children and the disenfranchised. It's our responsibility. Thank you so much for stopping by the blog and commenting. Wow!! Great history lesson. I didn't make that connection as well but it's disturbingly (is that a word) similar. I PRAY that justice is served in this case because it's going to set the tone for future events such as this. I'd like to hear your thoughts on black on black crime, race relations amongst our own people, and cruel and unusual punishment (I know it sounds crazy) as a means to deter some of the violence that we are seeing in our community. Thanks so much for reading. I didn't make the connection to Emmit Till either until Shawn pointed it out. As long as I write this blog, I'll continue to write about tough topics that are important to our community, so stay tuned! Wonderful post. I have been quietly contemplating the similarities between this case and Emmit Till's but you brought them together so eloquently. Thank you. It is my fervent hope that the community and eventually the world recognizes the heroism that Rachel expressed by taking the stand in defense of her friend Trayvon. Thanks so much for stopping by and commenting, Nicole. I think Shawn did an awesome job, too. It feels good to know that there are so many of us willing to stand up for our children. Rachel was brave, and I hope history recognizes her as such. Not sure it is fair to characterize his speech as "broken English". Maybe he spoke (understandably) hesitatingly and with a thick accent, but "broken" is how people speak when they don't speak the language well. I shared your comment w/my hubby, the author of this post. I think(?) I understand your point. Wright was very clear about what he was trying to communicate, and he did communicate it in a way that was understandable. Maybe "broken" isn't the most PC way to characterize it, maybe nonstandard, maybe southern Black vernacular? Thoughts? In the video above, Julian Bond calls Wright's dialect "broken." Nonetheless, I think the point that my husband was trying to make was that despite how his language was perceived as non-mainstream, it didn't change the power of his testimony. 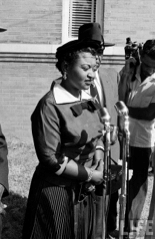 I am very familiar with the disgraceful and disgusting facts and story of Emmet Till. I must honestly disagree with this writer. Emmet was targeted by white (I am embarassed to say) adults and killed for nothing more than well, nothing. Mr Martin was not killed by anyone white, the town was not involved, the sheriff was not involved, it was not a set up or apparently even profiling. It was, in my humble estimation a case of a man's overzealousness and a young man's youthful testing. A case of poor decisions on both parts that lead to an untimely death, I suspect both regret their decisions. Emmet Till on the other hand was a clear and disgraceful case of racism gone amock. He deserved better, we the communtiy, particulary the honest white community of the time, let him down. I submit that to compare these two is is akin to suggesting that Emmet Till may have had some responsiblity in his own death. He did not. He was as blameless and as innocent as could be, and was targeted by the racist bigots who wanted him to die for no other reason than he was young and he was black. One can disagree with the Martin/Zimmerman trial but to try and stretch a comparison to one of the most heinous crimes to ever take place against a child is nothing more than cheap pandering to the racism. I for one think Mr Till deserves better. I completely agree with your husband. I can't believe I didn't see the comparison! It is truly a shame that the verdict was the same on both cases. It makes you wonder, when will we be heard? When? It sickens me.